System Monitoring is without question one of the most important tasks for IT admins, because it helps them guarantee that all servers are working at top performance. While Windows’s own monitoring tool “Task Manager” is very useful for casual resource monitoring, it lacks added features that other tools have, like alerting, notification, reporting, etc. Using the right monitoring tool will help you keep all infrastructures’ health information in control and alert you about any unplanned downtime. The tools that monitor the infrastructure should be designed to add the least performance impact on the system that is being monitored. In other words, these tools need to be as unobtrusive as possible to avoid any added burden on the production services. 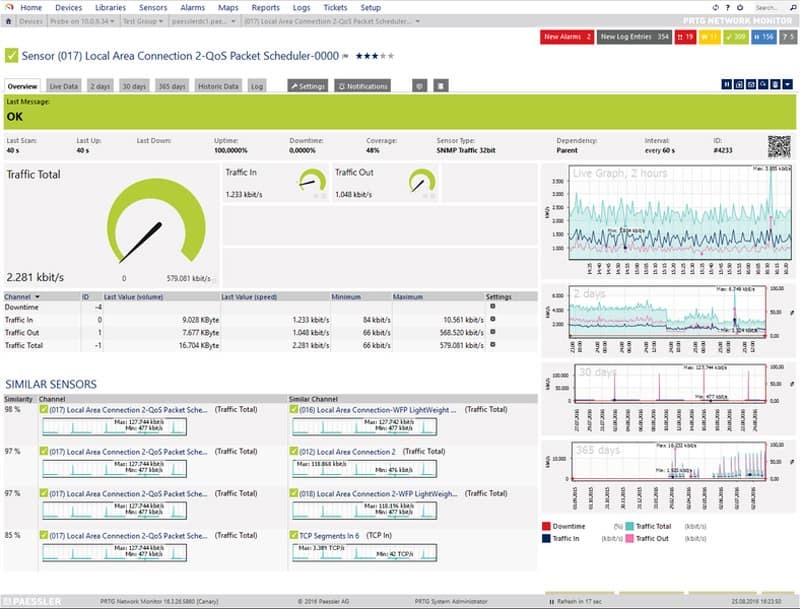 A monitoring tool should also add flexibility to the maintenance of the network. In a medium to large network, a central monitoring server will help offload the added impact on the systems being monitored. Basically the central server collects monitoring data from all agents installed in the servers. An agent is low-impact software that collects information of the server that is hosting it and sends it to the central server in order to process it. 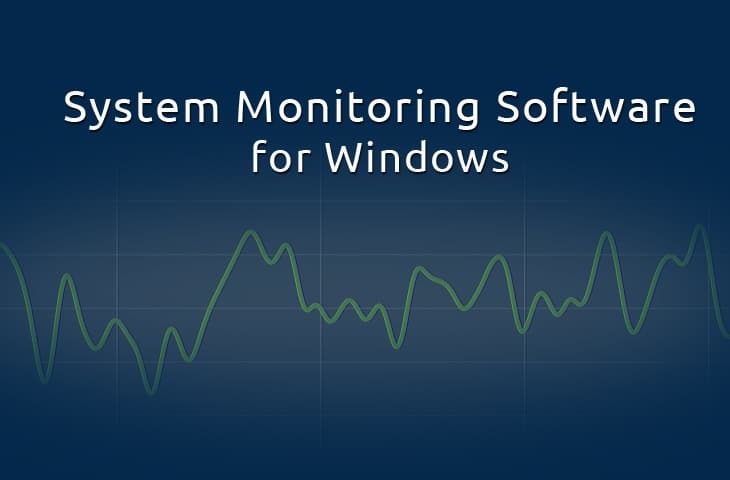 Windows users deal with a large variety of options when it comes to systems monitoring tools. The following list details 7 tools and software on the market that will help you keep a close eye on your infrastructure if your primarily a Windows Server (2012, 2008, 2003, etc). 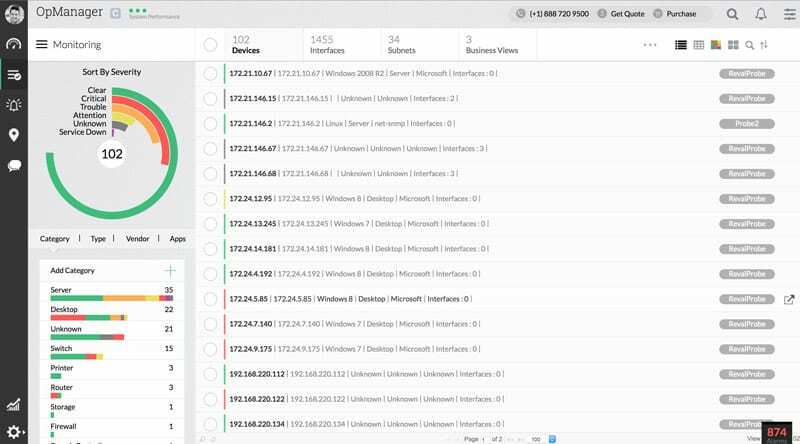 The nice part about these tools is that most of them have agentless monitoring systems (utiltizing services such as HTTP, PING, SSH, etc) to monitor devices that are not Windows based, such as Linux, Unix, Mac OSX and others. Solarwinds, has been a long-time leader for IT enterprise infrastructure management software. They developed the Server & Application Monitor “SAM”, a software very easy to install and use. The tool has a simple dashboard which is intuitive for any experienced IT admin. SAM is perfect for monitoring services and performance counters. It can be used to monitor a large variety of applications (+200) from a single dashboard. The dashboard comes preconfigured so that you can easily start the software out-of-the-box with little or no tweaking. SAM is a great tool for Real-time Monitoring and Management but is also amazing for collecting and reporting data from different agents from a central server. PRTG “Paessler Router Traffic Grapher”, focuses strictly in network infrastructure monitoring. PRTG is able to check on systems, appliances and applications. All of the functionalities from PRTG can be installed with a single installer and without needing to download any add-ons. PRTG can create network maps which can be published on the web for easy analysis. You can purchase the basic service PRTG 500 for $1,300, which allows monitoring up to 500 sensors (sensors are aspects monitored on a device). OpManager is a tool by ManageEngine. OpManager helps an administrator keep a close eye on the infrastructure, network and the Application Performance Management “APM”. It can be used for either Windows or Linux environments. OpManager is an integrated network management application that allows you to focus on one tool instead of separated networking features. Installing the manager is really easy and once installed it will automatically discover up to 15,000 network interfaces – you can see our full ManageEngine Opmanager review here for more details. The User Graphical Interface makes it very easy to use and also highly customizable. OpManager best features include Network and Server management, traffic analysis, network configuration management and fault and performance management. The essential edition, for up to 25 devices can be purchased for $595. We've written up an extensive review of ManageEngine Opmanager for you to get a better understanding of its benefits and features. 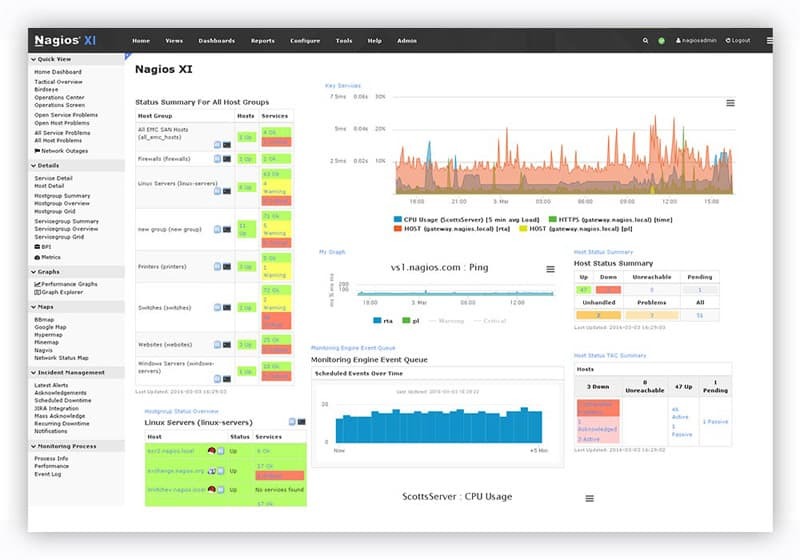 Nagios XI and Nagios Core, are two monitoring tools from Nagios, a leader and standard bearer in IT infrastructure monitoring. 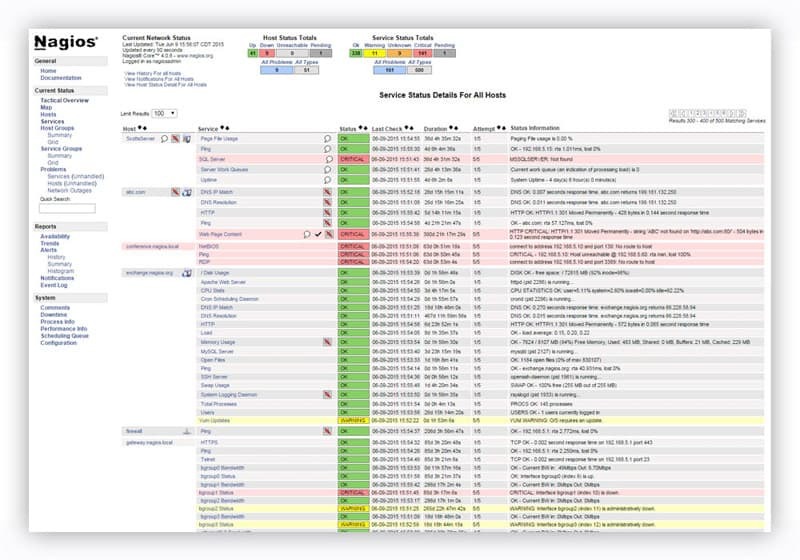 Nagios XI is a network monitoring tool that can be highly customized to turn itself into a powerful monitor for isolated or particular circumstances. Nagios XI is easy to install, but it needs to be tweaked a lot to meet your specific needs (Manual Editing of Configuration files, plugins, etc.). Since the tool does not automatically discover devices, you need to indicate each device through a configuration file, only then, the tool will start sending alerts. Nagios XI can be purchased starting at $1995 for 100 nodes. Nagios Core is the free and open source version. 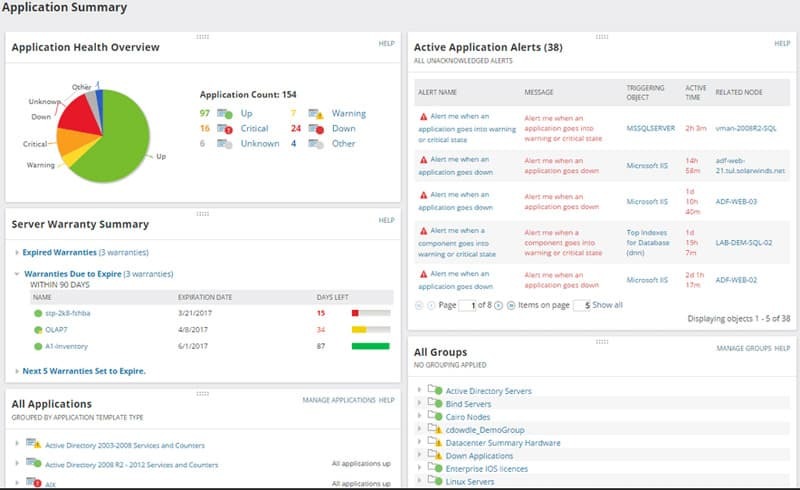 Not to underestimate this freebie, Core is powerful infrastructure monitoring and alerting software. This tool is very easy to download, install and use but of course it has its limitations, the reporting and user-interface are very restricted. Nagios XI, uses Nagios Core as its engine. Since Core is open source there are many plugins and add-ons in the community that can work with Nagios XI to extend the capabilities. WhatsUp Gold Network monitoring tool from IPSwitch, comes with advanced visualization features that makes the main dashboard really appealing. Whatsup Gold allows you to monitor networks, servers, applications, VMs and traffic flows. 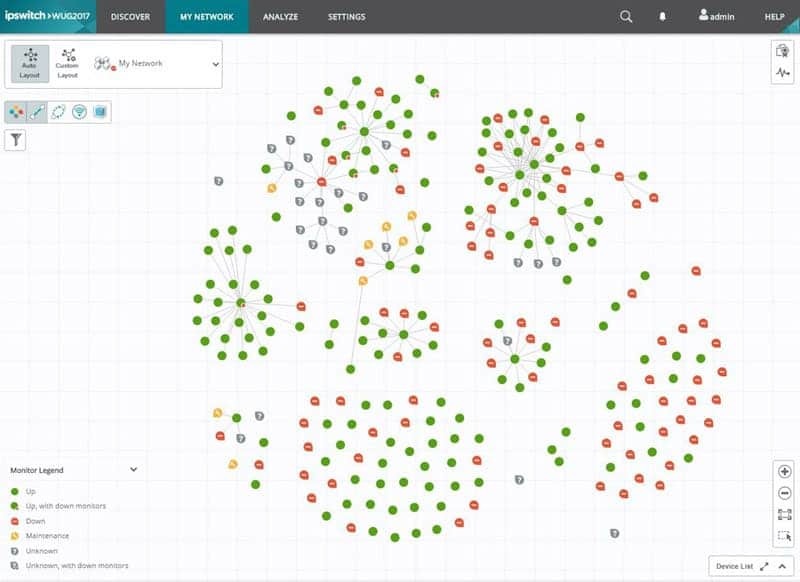 The interactive network map lets you visualize the complete network and find problems easily. The installation process is really simple; the add-ons can be included right from the start. The basic version can be purchased with a starting fee of $1755 (a onetime license). 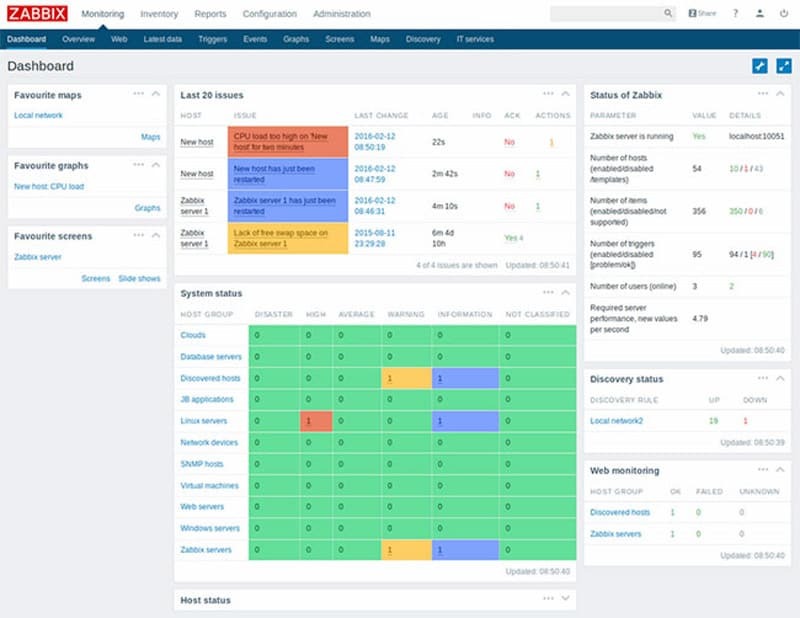 Zabbix is an open source enterprise and free monitoring tool. It is a great tool for monitoring hosts and services for small to medium networks. But when it comes to large networks, Zabbix can become difficult to scale up, as service discovery becomes complicated. The tool comes with light weight agents to install in servers (either Unix or Windows) and can monitor statistics like network utilization, CPU load, memory, etc. The open source community of Zabbix is really helpful when solving configuration related issues and customization. 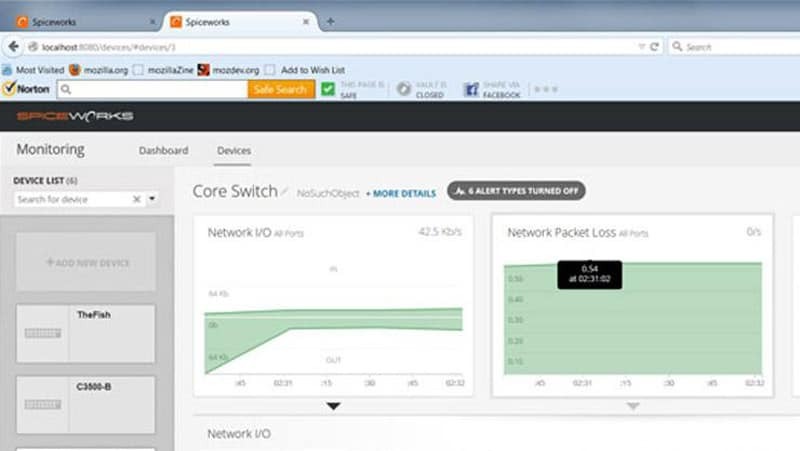 Spiceworks Network Monitor is another free tool great for small to medium sized Windows networks. The tool allows you to monitor servers, services and devices like routers or switches through SNMP protocol. The tool is very easy to install and use. Its graphical interface is very intuitive for anybody with decent knowledge on networks. The downside of the tool is that it lacks customization to create alerts and notifications. Since the tool doesn’t have granularity at the moment of configuration, it is not suitable for large enterprises. The list above is a careful selection of the top System Monitoring tools that can work in Windows environments. Some tools are perfect for any size network but others are only suitable for small to medium size networks. Some are more expensive than others and some are even free. It can be overwhelming to choose the right tool, as there are a lot of different IT monitoring vendors and many other options in the market. Before setting to look for a system monitoring tool, is critical to define your current network state, what are the assets that you are trying to keep an eye on? What is the behavior of your network? Having the right tool for the right type of network could easily help you forecast system failures, keep your servers running smooth and just help save your business’ money.